On the first day, Luisa Fernanda Barbosa Gomez from the Universitat Pompeu Fabra, Barcelona, held a workshop on Responsible Research and Innovation (RRI). It was very informative for the participants – some of whom came from other research institutes. The event was thus fully in line with the RRI spirit – integrative, open, responsible. 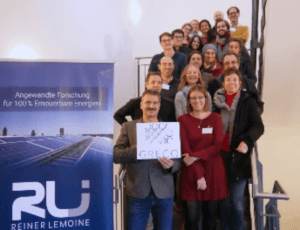 The second day was very busy with the GRECO-workpackage leaders elaborating their progress and challenges. Another challenge were the interviews in front of a real broadcasting camera – visualising the GRECO-message.